Many thanks to SWLing Post reader, Richard Cuff, for sharing this article from The Straits Times which interviews our friend Victor Goonetilleke. This is one of the first articles I’ve seen in the international press which gives a listener’s perspective on recent cuts to shortwave broadcasting. For 67-year-old Victor Goonetilleke, sitting with his headphones on in his house in the lush green Sri Lankan countryside, June 30 was the end of an era. Voice of America’s (VOA) short-wave broadcasts to Asia abruptly went off the air, raising howls of protest from many of the US government-funded broadcaster’s listeners across the region. But as the broadcasts had already been greatly diminished, this was not a surprise. The big Western radio broadcasters have gradually ceded the political “soft power” space they once dominated to a new heavyweight: China Radio International (CRI). In recent years, Radio Canada International and Radio Netherlands Worldwide have shut down while the British Broadcasting Corporation (BBC) and VOA have cut back on their range of languages and hours of programming. Now, the VOA has left Asia. Mr Goonetilleke is not just an avid radio listener. He professionally monitors radio frequencies for the VOA. He is also a former veteran radio correspondent with Radio Netherlands for 24 years in an era when short-wave radio broadcasts from the likes of the BBC, VOA, Radio Netherlands, and Deutsche Welle were often lifelines to other worlds for hundreds of millions especially in times of conflict and misery. The BBC now broadcasts in 29 languages across the planet, down from a peak of 69 in the 1970s. CRI broadcasts in 65, up from a reported 43 in 2006. Some programmes are run by local FM stations. These days, Mr Goonetilleke can listen to four hours of CRI broadcasts in Sinhala and Tamil daily, compared with 30 minutes each on BBC. CRI’s Tamil language broadcast is one of its oldest, run by fluent Tamil speaker Zhu Juanhua, a Shanghai native better known by her tens of thousands of listeners as Kalaiarasi. According to the CRI website, it has 3,165 listener clubs around the planet, including CRI netizens’ clubs. This entry was posted in Broadcasters, News, Shortwave Radio and tagged BBC Cuts, China Radio International, CRI, RA Cuts, Shortwave Radio, Victor Goonetilleke, VOA cuts, Why Shortwave Radio on July 27, 2014 by Thomas. The BBC’s News department is to axe 415 jobs as cost-cutting measures continue, the BBC’s director of news James Harding has announced. 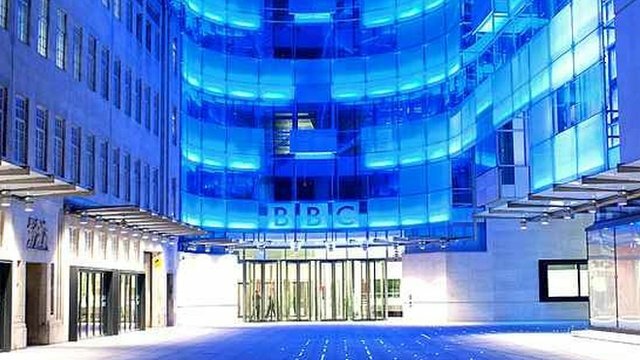 The move is part of £800m efficiency savings required after the licence fee was frozen in 2010. The latest cuts are expected to save £48m by 2017. BBC News currently employs around 8,400 people, including around 5,000 journalists, based in London, around the UK and overseas. He also set out plans to substantially restructure the news division and put the BBC at the forefront of producing news for the digital age using new technologies. A total of 195 new posts will be created to fulfill this plan, meaning a net reduction of 220 full-time jobs overall. Around 70% of the annual running costs of BBC News are staff-related, meaning there would inevitably be an impact in this area, Mr Harding said. The article continues by outlining all of the cuts and gains to the BBC. Also check out Jonathan Mark’s comments on Critical Distance. This entry was posted in Broadcasters, International Broadcasting, News and tagged BBC, BBC Cuts, BBC World Service on July 17, 2014 by Thomas. Bumped into an interesting document on the voice of the listener and viewer site in the UK. They seem to be concerned that BBC will reorganise so that BBC World Service won’t get representation high enough in the organisation. I have heard it said that this was a problem during the days of Sam Younger 1994-1998. 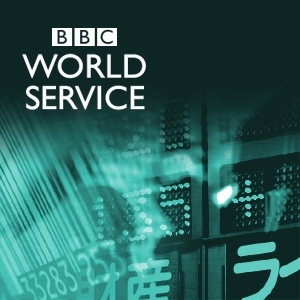 BBC World Service will need a powerful voice to show its value. The licence fee is a continuous debate in the UK. But it surprises me that BBC WS doesn’t really have an organised listener foundation like the VLV. Those resident in the UK are not the target audience for the BBC WS. Thank you, Jonathan. Indeed, I often wonder if RCI would have been struck so hard by (CBC) cuts if the international broadcaster had a strong leader; one who looked to innovate and adapt. This entry was posted in Articles, Broadcasters, News, Shortwave Radio and tagged BBC, BBC Cuts, BBC Reorganization, BBC World Service, Critical Distance, Jonathan Marks on December 8, 2013 by Thomas.